The Evrial virus is among the most dangerous hacking tools of late. It provides the most advanced infiltration options and can completely take over the victim computers leading to further virus infections. In the majority of cases may not even know that their system have been impacted. Read our in-depth guide to find out more about it. Short Description It can cause deep system infections, steal files and lead to further malware deployment. User Experience Join Our Forum to Discuss Evrial. 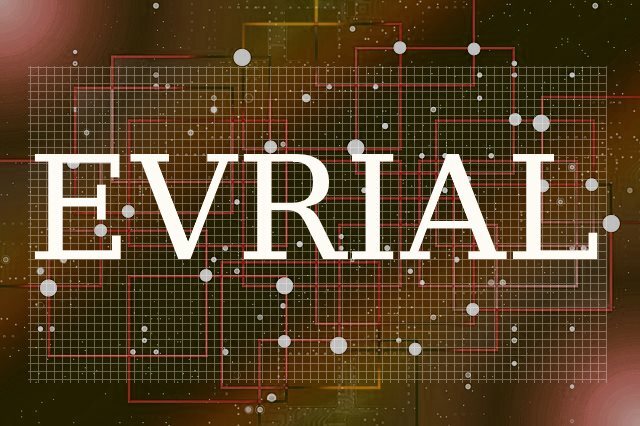 The Evrial virus is a newly discovered Trojan that can impact many users with a single attack. It is being sold on the hacker underground markets for $27. The bought malware samples can be used in many ways and the criminal operators can coordinate the attack campaigns using varied strategies. One of the easiest methods is to use automated exploit kits that are then launched against whole networks. They scan the target hosts for vulnerabilities and if such are found an automated script is launched which triggers the infection. The hacker programmers distribute the compiled executable (EXE) file after the relevant payment has been received. As such this allows the criminal operators to use email messages as a distribution method. In most cases social engineering tactics are used to make the victims interact with the messages and its contents. There are several main ways of abusing them. The first one is to embed malware hyperlinks that lead to the Evrial Trojan virus instances. In such cases they are disguised as password reset forms, login buttons and etc. Once the victims access them the executable file is downloaded and launched on their computers. The other way is the use of file attachments — they are directly attached to the messages themselves. A complex infection campaign can also utilize infected documents instead of the executable files. They can take various forms including rich text documents, spreadsheets and presentations. Once they opened a notification prompt will ask the victims if they want to execute the built-in macros (scripts). If this is done then the document will automatically download the virus instance from a remote site and the infection will follow. The prospective hackers can take advantage of the fact that several malware sites can potentially impact many more users. They are usually made using templates that resemble popular legitimate services. Usually the most common form is a download portal or search engine. They can deliver the Evrial virus using browser hijackers, another kind of computer virus. They are malware plugins for web browsers that upon infection change the most important settings. They are made compatible with the most popular applications: Mozilla Firefox, Google Chrome, Internet Explorer, Safari, Microsoft Edge. Utilizing both hacker-controlled sites and browser hijackers the criminals can also set up infected software installers. They represent hacker-modiifed installers of famous software. This is done by downloading the legitimate installers from the vendor’s official sites and modifying them to include the malware code. As soon as they are done they are then distributed using e-mails, hacker sites and file sharing networks like BitTorrent. The Evrial Trojan virus belongs to a specific type of advanced threats that are rated as critical infections. As soon as the infection is deployed onto the target system the behavior patterns are started. It contains all feature that are standard for this type of malware. Personal Information — This type of data can directly expose the users identity and is usually made up of strings and bits that are related to their name, address, phone number, preferences, passwords and account activity. These types act against all system locations, processes, services as well as user applications. Anonymous Metrics — They are made up of data such as the operating system version and other data that is used by the hackers to judge their effectiveness in the current attack campaign. This particular virus has been found to be able to both extract and modify the retrieved data. This is effective against both user applications and the operating system itself. Banking Account Stealing — If the victims interact with any online banking services or desktop applications this type of Trojan can be used to engage in serious financial crimes. The virus threat can detect whenever a transaction is made and automatically change the recipient field and the sum. If the user doesn’t notice the changes they may incidentally wire large amounts of money to the hacker operators without even noticing. Email Interactions — The Evrial virus code can modify the user’s emails which is an effective way to conduct corporate sabotage. Cryptocurrency Payments — As more and more computer users adopt the new digital currencies so does the danger of financial losses due to virus threats rises. The Evrial Trojan does just that — it can initiate money transfer to the hacker’s wallets automatically. The following currencies are supported: Bitcoin, Litecoin, Ethereum and Monero. Digital Goods Theft — The security analysts report that such malware are very effective at stealing digital items, including games from platforms like Steam. The Evial code supports instant messenger and popular software such as: Pidgin, Filezilla, Steam, Qiwi, WMR, WMZ and WME. Another typical feature of similar Trojans is the ability to spy on the victims as well as take over control of the victim machines at any given time. Like the browser hijackers that are sometime used to deliver malware it can also extract data from the installed web browsers. This applies to all cookies, bookmarks, history, preferences, passwords, form data and account credentials. The virus is being offered in hacker underground markets for the price of about $27. It is very similar to other threats of the same kind as it allows the operators to access a panel that gives them the ability to monitor the currently infected computers. They can use it cause remote command execution at any given time. The Evrial virus is also capable of stealing private user documents before any file processing is done. An optional component would be an ransomware module that can further manipulate the users into paying a ransom restore fee. Q: How Do I Remove Evrial Malware and How Do I Protect Myself In the Future? A: In order to remove Evrial virus, you should first stop the malicious processes of the malware by entering Windows Task Manager and stopping the malicious task by right-clicking on the Evrial process and clicking on End Process or End Process tree. This results in the virus stopping to mine. After doing so, you may want to remove the malware preferably by following the automatic or manual removal instructions below, if you have removed malware manually and have the experience. Be advised that security experts strongly recommend to remove the Evrial malware automatically by downloading an advanced anti-malware software, that aims to scan for and erase all malware from your system plus protect it against future infections as well. Threats such as Evrial may be persistent. They tend to re-appear if not fully deleted. A malware removal tool like Combo Cleaner will help you to remove malicious programs, saving you the time and the struggle of tracking down numerous malicious files. Threats such as Evrial may be persistent on your system. They tend to re-appear if not fully deleted. A malware removal tool like SpyHunter will help you to remove malicious programs, saving you the time and the struggle of tracking down numerous malicious files. Note! Your computer system may be affected by Evrial and other threats. SpyHunter is a powerful malware removal tool designed to help users with in-depth system security analysis, detection and removal of threats such as Evrial. 1. Install SpyHunter to scan for Evrial and remove them. 2. Scan with SpyHunter, Detect and Remove Evrial. Ransomware infections and Evrial aim to encrypt your files using an encryption algorithm which may be very difficult to decrypt. This is why we have suggested several alternative methods that may help you go around direct decryption and try to restore your files. Bear in mind that these methods may not be 100% effective but may also help you a little or a lot in different situations. Note! Your computer system may be affected by Evrial or other threats. Remove Evrial by cleaning your Browser and Registry. Fix registry entries created by Evrial on your PC. Combo Cleaner is a powerful malware removal tool designed to help users with in-depth system security analysis, detection and removal of threats such as Evrial. Step 5: In the Applications menu, look for any suspicious app or an app with a name, similar or identical to Evrial. If you find it, right-click on the app and select “Move to Trash”. Step 6: Select Accounts, after which click on the Login Items preference. Your Mac will then show you a list of items that start automatically when you log in. Look for any suspicious apps identical or similar to Evrial. Check the app you want to stop from running automatically and then select on the Minus (“–“) icon to hide it. Remove Evrial – related extensions from your Mac’s browsers. A pop-up window will appear asking for confirmation to uninstall the extension. Select ‘Uninstall’ again, and the Evrial will be removed. When you are facing problems on your Mac as a result of unwanted scripts and programs such as Evrial, the recommended way of eliminating the threat is by using an anti-malware program. Combo Cleaner offers advanced security features along with other modules that will improve your Mac’s security and protect it in the future. Hey !, I found this information for you: "Evrial Virus — How to Detect and Remove It from Your Computer". Here is the website link: https://sensorstechforum.com/evrial-virus-detect-remove-computer/. Thank you.